You can access the tournament arena by logging into worlds 352, 353 or 357. They are the perfect place to gather up a group of friends and test your skill. 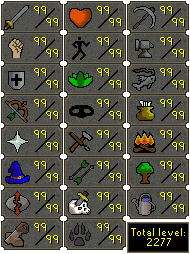 With maxed accounts and your pick of the best gear, everything comes down to skill. 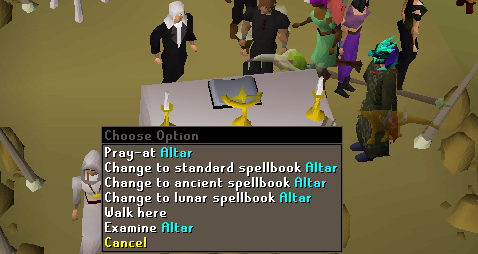 You can change to any spellbook by right-clicking the altar found in clan wars and selecting the spellbook you'd like to use. Should we be expecting the Duel Arena changes next week then? 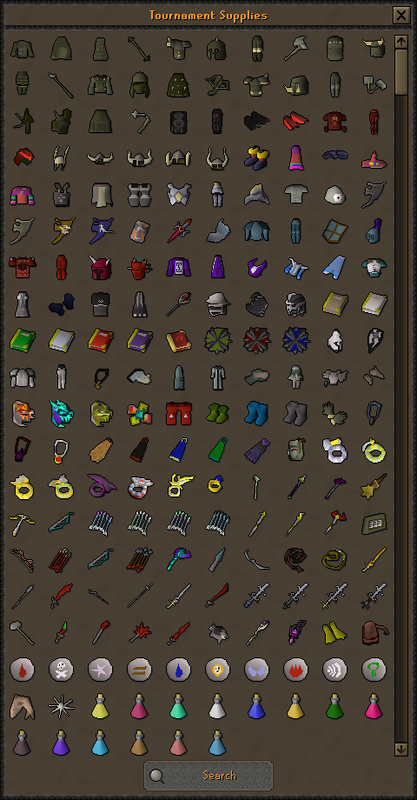 The whole sign up thing is really sketchy.. That's why none of the people I pk with even bothered to sign up. EDIT: Are you guys planning on fixing the logout dc glitch? The whole sign up thing is really sketchy.. That's why none of the people I pk with even bothered to sign up. You can now get your team together and take part in it without signing up to the tournament and have a go in the tournament worlds.